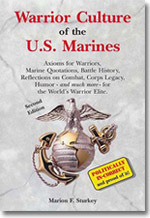 New book: "Warrior Culture of the US Marines"
We've got some great things in this newsletter. We'd like you to share this message with others in your family and troop supporters you know outside the Marine Corps family. The tribute to Gold Star Mother's Day and Families is a critical message to be shared with everyone you know. Help make this September 26 a day to remember our fallen heroes and their families. Looking for homecoming shirts? We'll design them for you. Scroll to see our message to the families of Marines soon-to-be homeward bound! We still need your help with the next Care Package Shipping day. We're a month out but a long way from our goal of shipping funds, baby wipes, and olive-drab t-shirts. Scroll below for more information. Did you know there is a special day designated to honor American Gold Star Mothers? This day of observance was officially designated in 1936 by President Franklin D. Roosevelt, and it's high time we all come together to recognize our American Gold Star families on this very important day. Marine Parents began an initiative last year to encourage Americans to light a luminary on Gold Star Mother's Day to honor and acknowledge the mothers of our Fallen Heroes. We'd like to expand that initiative this year, and we need your help! 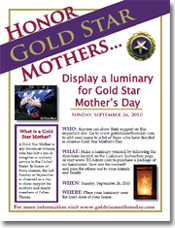 Please visit www.goldstarmothersday.com for more information on this important day and to learn how to make your own Gold Star Mother's Day luminaries! A major in the U.S. Marine Corps, this Marine served a tour in Iraq and was later deployed to Marjah, Afghanistan. Near the end of his deployment, his father asked him to sum up his experiences in Afghanistan. Below is the major's response. Although I've gotten used to things around here, this place can wear on you. Don't get me wrong, I truly believe in our mission and its importance to both the Afghan people and security back home. Still, southern Afghanistan is a hard place. The question Marines ask themselves most when talking with folks back home is "Where do I start?" There are no easy answers. We are only about a month away from our next Care Package Project™ pack day, and we are still in need of donations for our Marines in Afghanistan! We need YOUR help if we are going to be able to send them the items they need. As a reminder, our goal is to collect 1100 olive drab skivvy shirts and 1100 packages of baby wipes by the August 28th packing day. We have received several generous donations, but in order to send one T-shirt and one package of baby wipes in each care package, we are in need of many more items to ship. We are also asking for $1 donations to support our 2010 Dollar Campaign, which helps cover the cost of shipping the care packages overseas. It will cost us over $13,000 to ship the packages, and if everyone sends in just $1 we will be a lot closer to our goal. 986 more packages of baby wipes. These wipes help our deployed men and women stay clean, and you can purchase them without shipping costs! Click here to donate wipes! 770 more olive drab t-shirts. 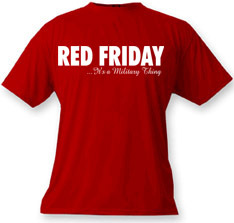 These T-shirts adhere to the uniform regulations our Marines are required to follow. Buying a package of three T-shirts for only $15 will allow us to provide three Marines with clean shirts to wear! Click here to donate shirts! Learn more about the Dollar Care Package Campaign and donate your dollar! 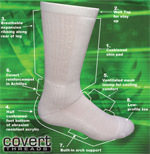 Click here to donate shipping funds! We encourage you to forward this email to your family and friends. 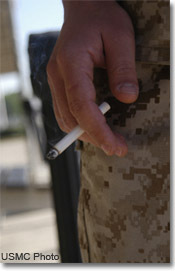 Every little bit helps, and our Marines greatly appreciate your generosity! As we anxiously anticipate the homecoming of our Marines, the Marine Parents EGA Store offers a few different T-shirts you can purchase in celebration of their arrival. Pictured here is our battalion T-shirt with your Marine's unit crest on the front and optional customization on the back, such as "Proud Dad/Mom" or "Welcome Home [Your Marine's Name]." You can also make your homecoming T-shirt even more personalized by designing your own. Most recently, the parents of unit 3/6 designed their own, unique homecoming tee. View their design on our website. If you have an idea for a design, we'd be happy to help you put that design on a T-shirt. Just email custom@marineparents.com with the subject line "My Homecoming T-shirt Design." NEW Marine Parents Book Club!! The issue we ran into is the USPS requiring tobacco to be sent via Express Mail Delivery, which is not available at most APO/FPO addresses. That requirement seemed to be in contradiction to the intent of the law and actual implementation for military mail. Our initial inquiry of the USPS guidelines and communication with legislators resulted in each side claiming the other was responsible for the guidelines, and we weren't able to get anywhere with either side. However, after several phone calls and inquiries we have finally been able to locate the person in charge of this at the USPS in Washington, DC, and he has been asked to respond to our questions. We anticipate hearing from him soon and will follow up. 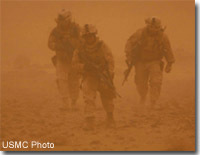 The banner used at the top of this newsletter is a July 2010 USMC Photo by Lance Cpl. Sharon Kyle of Sgt. Maj. Carlton W. Kent, sergeant major of the Marine Corps, providing words of encouragement to Wounded Warriors from Walter Reed Medical Facility at the National Museum of the Marine Corps. Click here to read additional credits.